I wanted to tell you about this video we’re proud of. This year a partner and I produced a song for Grammy-nominated artist Carolyn Malachi. The song is titled “Free Your Mind,” and it’s fully produced and recorded in Studio One. The track is gaining momentum! It’s currently available on Google play, and will hit iTunes and Amazon in a couple of weeks. We have been getting a lot of attention from the song because of what it is doing for other people. Carolyn just debuted the Music video for it at the US Chamber of Commerce BCLC’s 2012 Corporate Citizenship Awards here in Washington, DC. Companies such as Google, NFL, DOW, IBM, and many others were in attendance. Link here about the awards here. 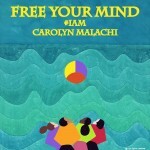 The video is important because Carolyn has teamed up with a Company called the Theschoolfund.org for the #IAM campaign. With the video we plan to raise money for children in East Africa to attend school. The campaign runs for six months and we plan on raise 10,000 school hours per month. We have been able to secure corporate sponsors that have committed to our support our efforts. For every click of the music video our corporate sponsors will donate 19 cents, which equals one hour of school for a child. 10,000 hours costs $1900. Here is an article about it in the Huffington Post. Below are some links to other works produced with PreSonus Gear and software. Miguel—Kaleidoscope Dreams Listening event and interview. Event using StudioLive 24.4.2, recorded in Capture, mixed in Studio One. Brandy—Diary. Audio restoration and mixed in Studio One. Brandy— Love Life Interviewed. Event using StudioLive 24.4.2, recorded in Capture, mixed in Studio One. Kendrick Lemar—Interview and Freestyle. Event using StudioLive 24.4.2, recorded in Capture, mixed in Studio One.